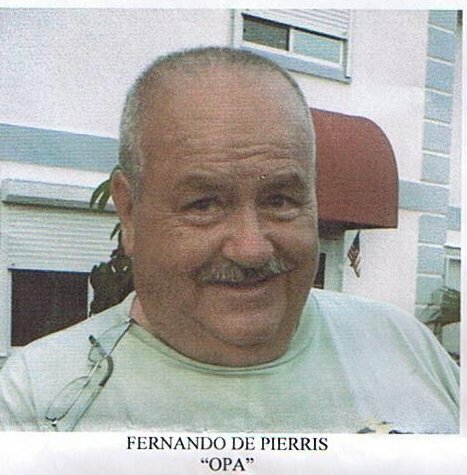 On Monday, March 17, 2008 our beloved husband, father, grandfather and friend, Fernando DePierris, of Mechanicsburg, Pennsylvania, entered Eternal Life - peacefully at home in Cape Canaveral, Florida, one month after the diagnosis of Pancreatic Cancer. 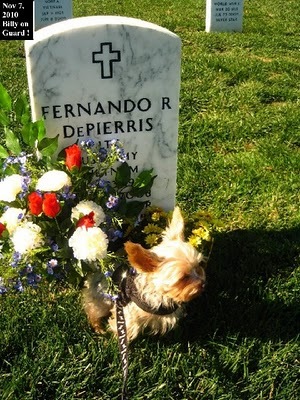 Lieutenant Colonel Fernando DePierris served 27 years in the US Army and National Guard as a helicopter pilot. He served three years in Vietnam. Upon his return he pursued and received his Doctorate of Law from the University of North Carolina. In 2004, Fernando retired from the Mechanicsburg Naval Depot with 20 years of outstanding service. His personal time was filled with his passion for Vespa Scooters, model ship building and his grandchildren. Our beloved Fernando will always be remembered as a wonderful husband, father, friend and the World's Best GRANDFATHER (OPA) ever. He will be missed by his wife, Renate; his daughters Bettina and Tatiana (Alabama); Dana, Tina and Sonja (Pennsylvania); his 12 grandchildren; and three brothers in Chile. To be announced at a future date, memorial services will be held at St. Joseph's Catholic Church, Mechanicsburg, Pennsylvania. 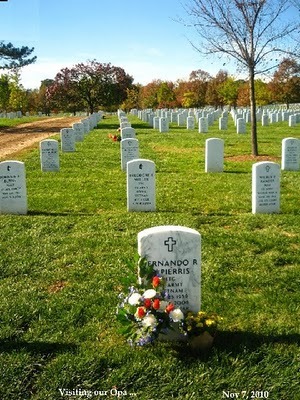 His ashes will be interred at Arlington National Cemetery. In lieu of flowers, a donation in Fernando's memory may be made to the Pancreatic Cancer Action Network, 2141 Rosecrans Avenue, Suite 7000, El Segundo California 90245 (www.PanCan.org) OR to Vitas Hospice, 4450 West Eau Gallie Boulevard, Suite 280, Melbourne Florida 32934.